Dr. Lisa Cooper is a Liberian-born general internist, social epidemiologist, and health services researcher. She was one of the first scientists to document disparities in the quality of relationships between physicians and patients from socially at-risk groups. She then designed innovative interventions targeting physicians’ communication skills, patients’ self-management skills, and healthcare organizations’ ability to address needs of populations experiencing health disparities. She is the author of over 180 publications and has been the principal investigator of more than 15 federal and private foundation grants. She has also been a devoted mentor to more than 60 individuals seeking careers in medicine, nursing, and public health. Dr. Cooper has received several honors for her pioneering research, teaching, and mentoring. She has also been recognized by several community organizations for her community engagement and advocacy to address health disparities. 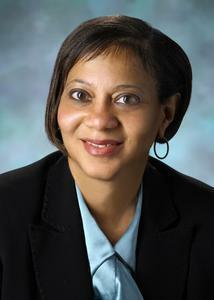 Currently, Dr. Cooper directs The Johns Hopkins Center for Health Equity, where she and her transdisciplinary team work with stakeholders from healthcare and the community to implement rigorous clinical trials, identifying interventions that alleviate racial and income disparities in social determinants and health outcomes. The Center also provides training to a new generation of health equity scholars and advocates for social change with policymakers. Cooper LA, Purnell TS, Ibe CA, Halbert JP, Bone LR, Carson KA, Hickman D, Simmons M, Vachon A, Robb I, Martin-Daniels M, Dietz KB, Golden SH, Crews DC, Hill-Briggs F, Marsteller JA, Boulware LE, Miller ER, Levine DM. Reaching for Health Equity and Social Justice in Baltimore: The Evolution of an Academic-Community Partnership and Conceptual Framework to Address Hypertension Disparities. Ethn Dis. 2016 Jul 21;26(3):369-78.
Cooper LA, Boulware LE, Miller ER 3rd, Golden SH, Carson KA, Noronha G, Huizinga MM, Roter DL, Yeh HC, Bone LR, Levine DM, Hill-Briggs F, Charleston J, Kim M, Wang NY, Aboumatar H, Halbert JP, Ephraim PL, Brancati FL. Creating a transdisciplinary research center to reduce cardiovascular health disparities in Baltimore, Maryland: lessons learned. Am J Public Health. 2013 Nov;103(11):e26-38. Cooper LA, Ghods Dinoso BK, Ford DE, Roter DL, Primm AB, Larson SM, Gill JM, Noronha GJ, Shaya EK, Wang NY. Comparative effectiveness of standard versus patient-centered collaborative care interventions for depression among African Americans in primary care settings: the BRIDGE Study. Health Serv Res. 2013 Feb;48(1):150-74.
Cooper LA, Roter DL, Carson KA, Beach MC, Sabin JA, Greenwald AG, Inui TS. The Associations of Clinicians' Implicit Attitudes About Race With Medical Visit Communication and Patient Ratings of Interpersonal Care. Am J Public Health. 2012 May;102(5):979-987.
Cooper LA, Roter DL, Carson KA, Bone LR, Larson SM, Miller ER 3rd, Barr MS, Levine DM. A randomized trial to improve patient-centered care and hypertension control in underserved primary care patients. J Gen Intern Med. 2011 Nov;26(11):1297-304.